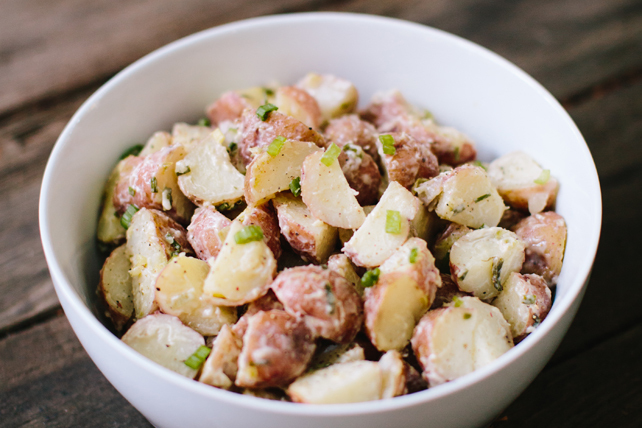 What makes our new potato salad zesty? Tangy MIRACLE WHIP. Savoury honey mustard. And some green onions for a nice, cold crunch.